College and crippling debt go together like Westworld and confusion. (Americans now owe more than $1.5 trillion in student debt.) So, what are the majors that most frequently land graduates a job? 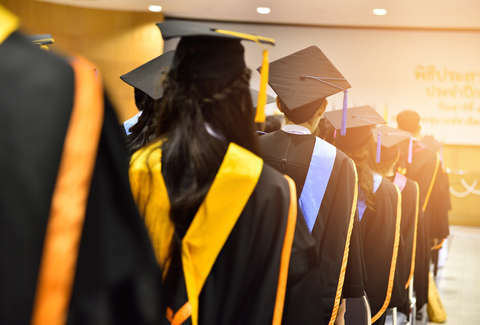 The team at 24/7 Wall Street has attempted to answer that question using data from the US Census Bureau to hone in on the college majors with the lowest unemployment rates in the United States. The list is all over the place, though most of the majors are STEM/STEAM related. The majors range from nursing to oceanography, but inside the top 10, there is one topic that resurfaces. Agriculture. There are three agricultural majors listed inside the top 10, two of which are in the top-five average salaries for the below group of 10. Here's what 24/7 Wall Street found. Take a look at the full report to see the top 25 majors, as well as data about the number of people in each field who get a master's degree and the total number of BA holders who are in the labor force for each major.